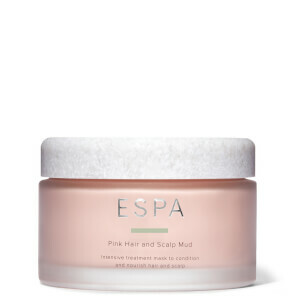 I love this product because my skin feels so nourished and strengthened. I normally avoid the use of oily textures in my skincare routine because I break out easily, but the texture is not greasy and gives my skin the hydration it needs. Just smelling this gorgeous oil is to send me to another place but applying it is something else. It’s luxurious yet fine qualities make my skin feel like it’s had a full facial. I just love it! I've been using this serum for several years now. Early days I saw some reviews suggesting it helped people with Rosacea so having suffered from this I thought I'd give it a try. Since using this product, I've had very few flare ups of the problem. I can't say for sure this serum is the reason but it would be quite a coincidence if it isn't. Add to that it leaves my skin looking and feeling smooth and fresh. Highly recommended. Works brilliantly post shave to prevent dry skin and razor burn. I have started to use it with the pre shave oil and they really work welll together. I have combination skin but the proserum oil absorbs easily and gives a god tone to my skin without any oily spots. Highly recommended. I've always struggled to find a 'moisturiser' that copes with my oily skin pre make up application, this does the trick and then some. Foundation goes on like a dream and doesn't cake or sit in pores and my skin feels super hydrated. Smells divine too - a daily pick up me. I use this serum every morning and find that it is rich enough to hydrate my dry skin, but not greasy. It quickly absorbs so that I can start my make up routine. Wonderful serum and the smell is amazing!!! 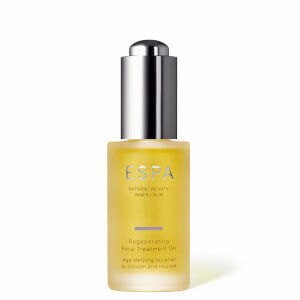 I've used this serum for years and I love it. It smells amazing and never feels too oily or heavy/greasy. My skin always feels comforted when I apply it and nourished. 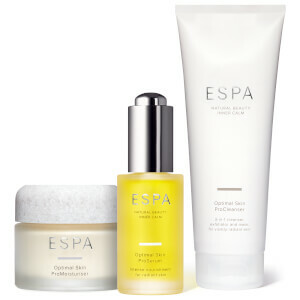 As with ALL Espa products, beautiful. I have two chronic medical conditions and because of medications these affect my skin. So, along with monthly facials I DO NOT use any other brands. From the other end I like my little ten year old granddaughter to be indulged and learn to care for herself.